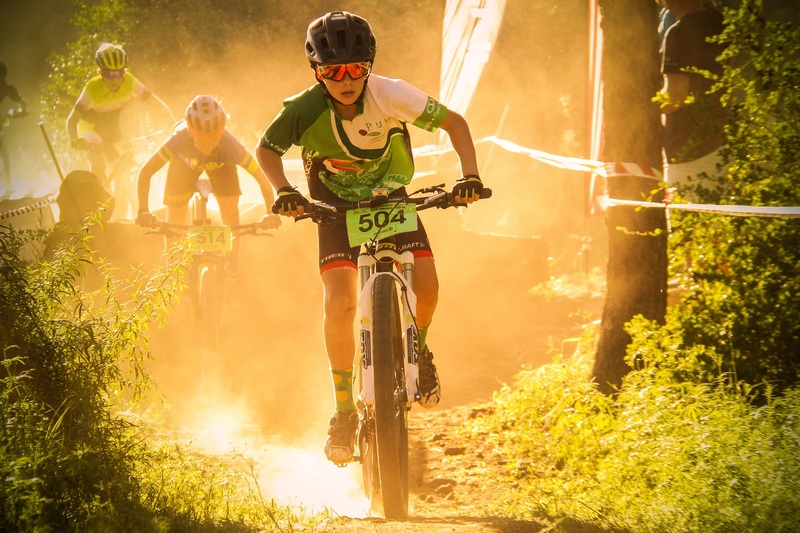 Over the weekend some of the best mountain bikers the country has to offer converged on Bloemfontein for the third round of the 2019 South African National XCO Cup Series at Happy Valley. It was somewhat strange not seeing the star Free State cyclist, Chanté Olivier, in action at her home course, and this was due to her being in Bellville where she was competing in the National Track Championships. It paid off for her as she won no less than seven gold medals, broke a South African record and missed out on another by 0.001 seconds. In Bloemfontein, the action on the treacherous course was intense and really put the riders to the test, from nippers and sprogs in the morning, to the elite men and women in the afternoon. The junior world champion, Alan Hatherly, was back in action in the City of Roses and was considered by many as the favourite for the win over the six-lap course. It was, however, the Cape Town-based Free Stater, Arno du Toit, who claimed the honours with a flawless ride to win the men’s elite in a time1:28:48. He was followed across the line by Jan Withaar in 1:30:15, and Gert Heyns in 1:30:53. Hatherly, who was fresh off the Cape Epic as well, had to settle for 6th in a time of 1:32:40. The women’s elite section over five laps was won by Cherie Redecker in 1:33:43, to beat Michelle Vorster, who rode in second in a time of 1:35:02. Sarah Hill took the bronze in a time of 1:35:55. The four-lap Junior men’s race is always one of the most popular among the spectators and the riders alike, and it also boasted with the biggest field on the day with 40 competitors. Luke Moir took the honours in 1:01:04, followed by Jamie Penfold in 1:02:46, with Tristan Nortje taking the bronze in 1:04:10. Zandri Strydom topped the podium in the Junior Women in a time of 1:15:59 over three laps, with Emma van Coller in second in 1:24:36 and Frances Janse van Rensburg taking the bronze in 1:29:23. In the Veteran Men, it was a one-two for the Free State with Jacques Malherbe winning over the three laps in 54:09 and Jean Fourie taking second in 59:06. Sean O’Flynn-Madden from Gauteng took third in 59.44. Malherbe remains at the top of the overall national standings, with Fourie in third. Previous articleKwalifiseer jy vir ’n Sassa-toelae?